At each home game of the Lethbridge Hurricanes 2018-2019 Regular Season, United Way will be at the Enmax Centre, hosting a raffle to raise funds to support essential community programs! Volunteers work in teams of two or three to assist with raffle ticket sales to fans along the concourse and in the stands. Ticket sales take place before the game and during the intermissions. Admission to the game is covered for volunteers. It's a great way to support the community and catch some Hurricanes action at the same time! This season, we're encouraging volunteers to commit to three or more HOME games throughout the season. The 2018-2019 season runs Sept. 21 - March 9. Volunteers should be comfortable standing and walking for moderate periods of time. Some stairs may be involved. Cash handling and basic math skills for change-making are needed. 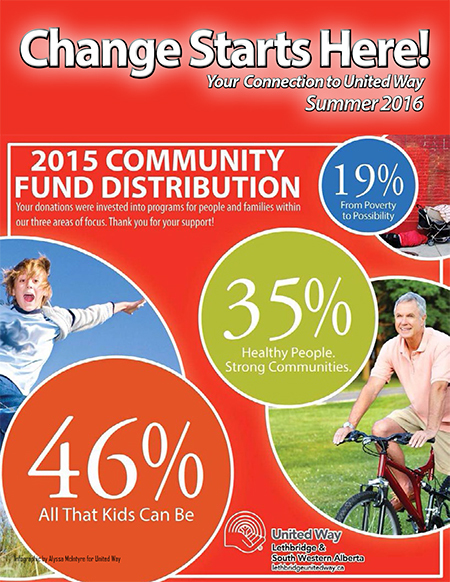 Those interested should sign up by contacting Connolly at 403-327-1700 or together@lethbridgeunitedway.ca. Please view the Hurricanes Game Schedule for available dates where Lethbridge is the home team.